A new site is born. 123WebGuide.com – Simple and to the point. We write about how you can use web tools to kick start your digital venture in the 21st century, earn a good side income from blogging and eventually become a full fledged online entrepreneur with several income streams. Our focus will be affiliate marketing by creation of great content, Search Engine Optimization (SEO) and Social Media Marketing. We are happy just having installed this fantastic theme you see here. 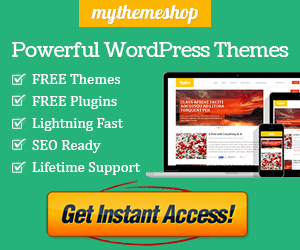 It is a WordPress Theme from MyThemeShop. The Theme is called MoneyFlow and we already love it here at 123WebGuide. So stay tuned as we are about to embark on a great journey of making money online with the best web tools currently available for online entrepreneurs!